Professor Larry Everett is shown with some of the equipment used in Clark State’s Precision Ag program. SPRINGFIELD – Open a computer screen in the cab of your tractor and an aerial photo of the field you’re working appears. Push a button and it triggers the nozzles of your sprayer, sending customized mixes of fertilizer, herbicides or other nutrients to exactly the corn plants that need them. It does this in a single pass along the row. Change the screen and you can check on your robotic lawn mower, which has read another aerial photo and is mowing your lawn, neatly trimming around the trees and flower beds. Yet another screen shot patches you into the conversation your son is having with the greens manager at the golf course where he works about the computer analysis of the condition of the grass in the fairway. Your wife stops by the local greenhouse for petunias, a robot delivers them, already potted, to her car, and you can watch it all while Autosteer guides your tractor through the field. Although it may sound like a scene from the novels of Jules Verne, Professor Larry Everett, PhD, Director of the Ohio Center for Precision Agriculture at Clark State Community College, says it’s not just a farming fantasy. This futuristic thinking has led to the Springfield campus being ranked seventh among the top 10 Precision Agriculture education sites in the nation. It is the only program of its kind east of the Mississippi River. Precision Agriculture started in Iowa nearly 25 years ago. The researchers began by measuring corn yields from the individual parts of a field. Then they studied the conditions that led to the variations: soil types, moisture retention and drainage, nutrient pools and deficits. They determined, Everett said, “there are better parts of the field.” The goal became to find a way to amend the soil or feed the individual plant “so every plant gets what it needs right then” in a single trip through the field. The solution is a computer program that directs the inputs from the sprayer tanks or the seeders. Originally designed for the wide, flat fields of Iowa and Kansas, the technology has been refined to allow treatment of Ohio’s many point rows, so that multiple turns in the smaller fields do not result in overlapping seeding or spraying. Clark State currently has fifteen students studying Precision Agriculture. The two-year degree allows them to participate in hands-on work with two John Deere Gators that are equipped with AutoSteer (the GPS system that identifies where the machinery is in the field) and the computers that control the sprayers. Upon graduation, students may use their skills on their own farms, as crop consultants, in greenhouse/horticulture settings, or with parks, and golf courses. “We received a $200,000 grant from the State of Ohio to further develop the program,” said Larry Everett. “We plan to purchase a tractor and precision planter among other items. The land laboratory will allow additional hands-on activities.” The field training takes place at the Airpark Ohio UAS test range, located at the Springfield Municipal Airport. Clark State’s Precision Agriculture program option emphasizes preparation for agriculture service-industry occupations. Courses are offered in soil science, soil fertility, plant pests, precision agriculture, remote sensing, applied GIS for agriculture and data analysis. The curriculum is designed to prepare students for employment with companies using geospatial technologies, including geographic information systems (GIS) and global positioning systems (GPS) applied to agricultural production or management activities, such as pest scouting, site-specific pesticide application, yield mapping or variable-rate irrigation. Everett said the Clark State Precision Agriculture program is unique because it focuses on data management emphasizing production agriculture and many horticulture applications. The advantages of Precision Agriculture are numerous, according to the Everetts. Every agriculture career is short of employees and the benefit to the industry is that precision ag allows farmers and their employees to use their assets where they will have the most impact. The most important one may be that at the end of the day farmers using the computerized program are less tired—they’ve spent fewer hours in the tractor and more hours focusing on getting a better product from their land. 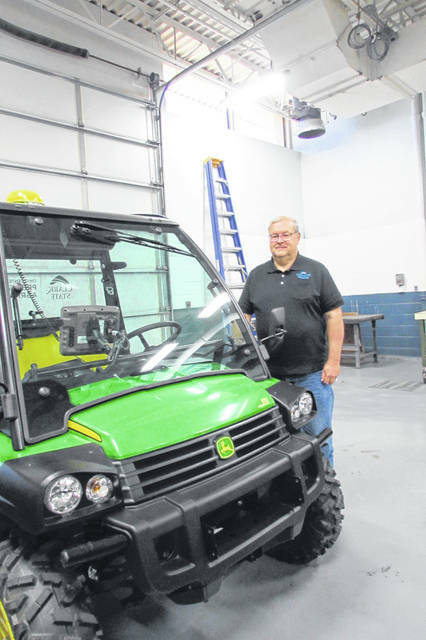 https://www.rurallifetoday.com/wp-content/uploads/sites/56/2018/11/web1_ClarkState.jpgProfessor Larry Everett is shown with some of the equipment used in Clark State’s Precision Ag program. 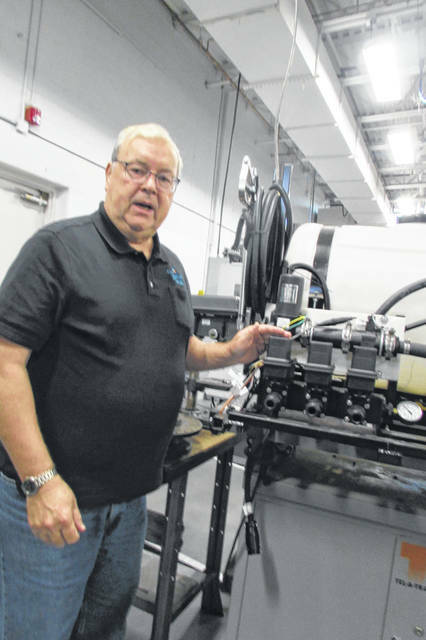 https://www.rurallifetoday.com/wp-content/uploads/sites/56/2018/11/web1_ClarkState2.jpgProfessor Larry Everett is shown with some of the equipment used in Clark State’s Precision Ag program.